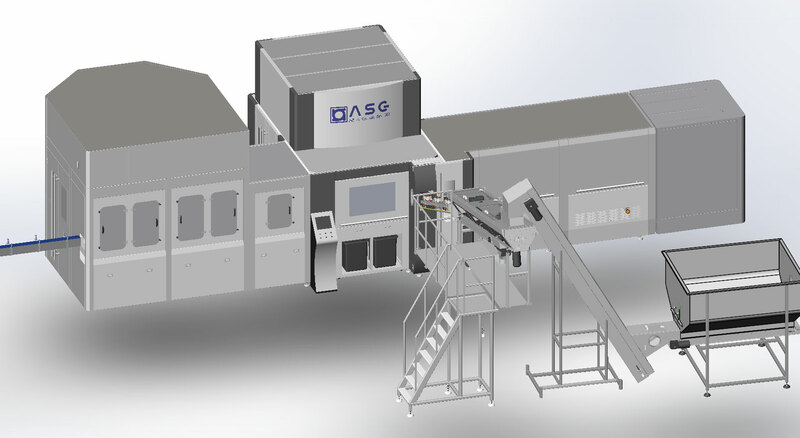 CGF full auto blowing-filling and capping machine is designed by us at the base of adsorbing international advanced technology. 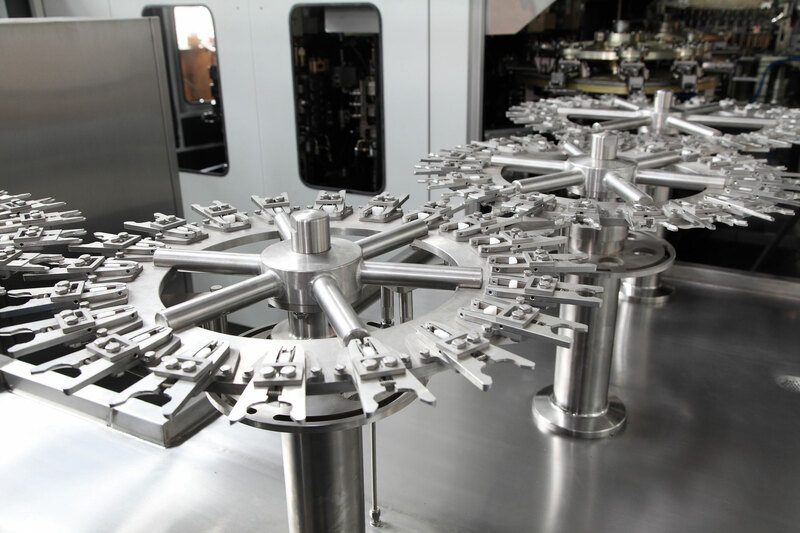 This machine is consisted of main blowing machine, heating stove, auto sending pre-form device, filling system, capping system, electrical controlling system and pneumatic controlling system. This type machine has characters of high degree of automation, stable specification, high efficiency manufacturing and low cost. Production capacity from 10,800 all the way up to 43,200 PET containers per hour. By touch screen HMI enables all-around control of production process, each independent zone and time monitoring for bottle stretch blowing process. Stable infrared heating system and independent heat balance adjusting device ensure consistency of preform heating temperature and evenness of bottle appearance color, which enhances yield. the heater adopts 9-section type infrared temperature adjusting control. Each group of heating lamps in pre-heating zone and adjusting zone can be controlled and adjusted separately according to technical requirement. The specially designed stretch blowing system ha real time monitoring to pressure variation curve during the molding process of each cavity, which provides the real time parameters for the technical adjustment. It is absolutely convenient for operators to adjust technical parameters and the bottle molding quality is stable. The parameters as heating temperature and blowing time could be set according to customer's preform and bottle shape. While changing over different preforms, the only thing you need to do is select the pre-set parameters for smooth production. The equipment uses fully close transparent windows structure with safety door system, which ensure the safety of the operator during the normal production as well as equipment's running.